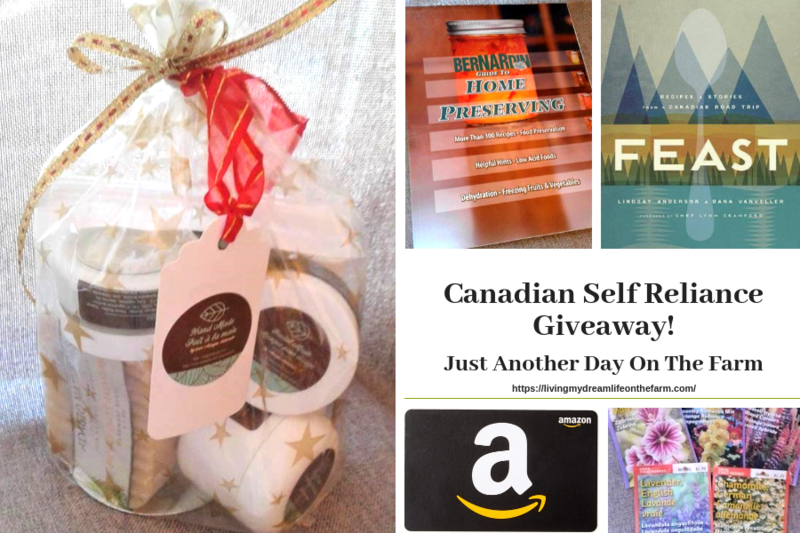 Self Reliance Bloggers Mega Giveaway! Hello Dear Canadian Readers of my blog.. This give away is for you (minus Quebec readers.. sorry). I am thrilled to share this amazing prize package with you and I can’t wait to see which of one of you wins it! Supported by Farmgal’s Mason Bee’s.. Head on over to facebook and check out the page and if you want to.. give it a like and see all the news for the coming Mason Bee Adventure over 2019 and beyond. 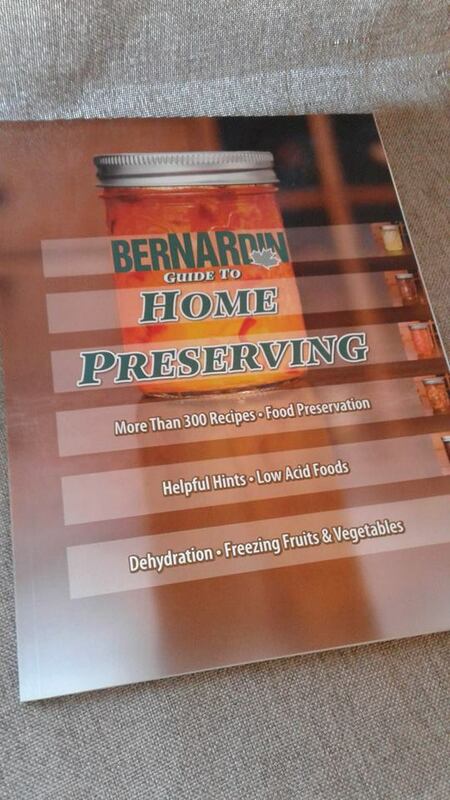 A great copy of Bernardin’s Home Preserving Book. In Canada, Bernardin’s is in the canning world, what the blue book is in the states.. I own this book and promote it in my canning workshops and highly recommend their larger versions as well. 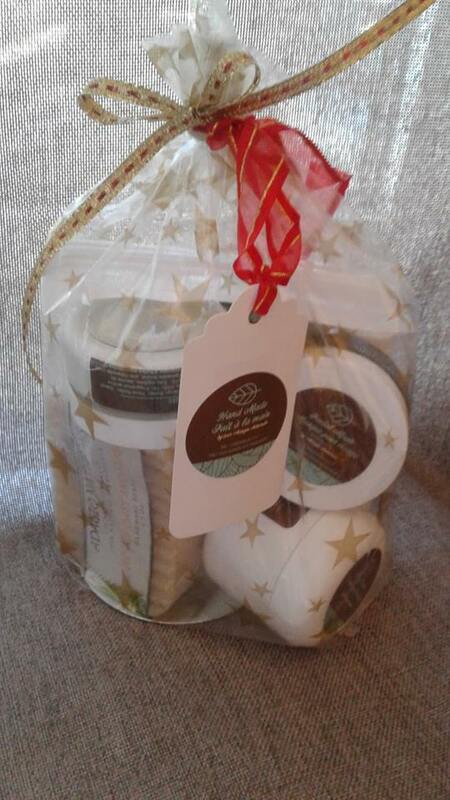 An amazing Gift Package from Adagio Naturals. Thank you so much for your support. I will admit that I do use her products and I am often a tester for this and that over the years! 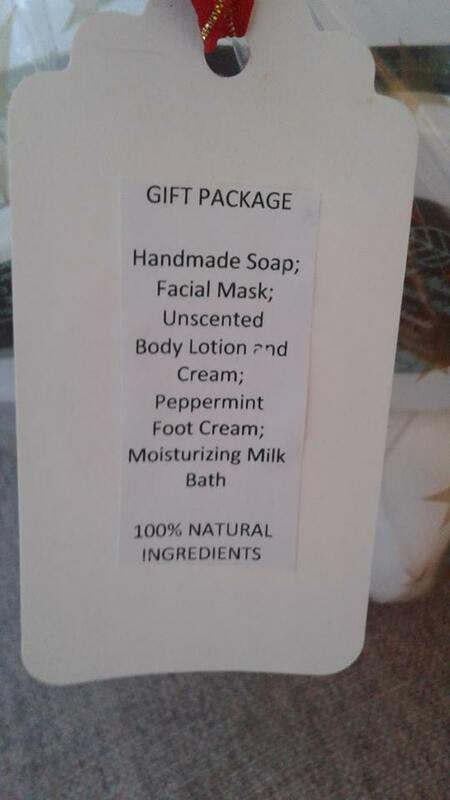 All Natural..
Total Prize Package Valued at 121.95 in Canadian Dollars. Giveaway begins at 6am CST on January 14th and ends at 6pm CST on January 26th, 2019. 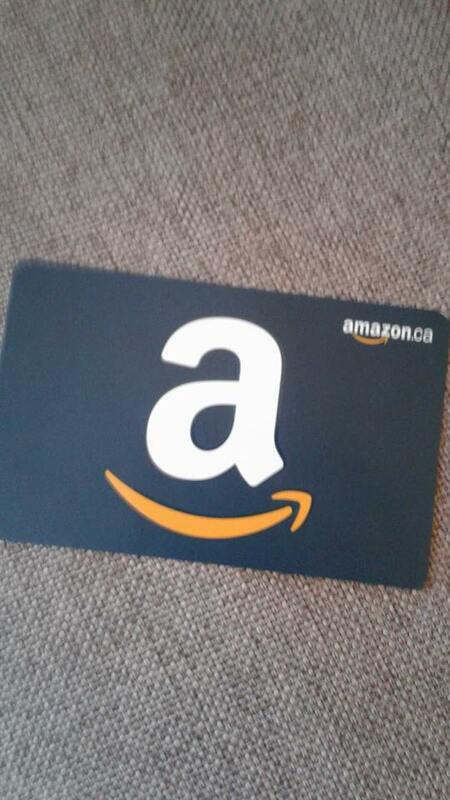 Shipping is included in the prize to anywhere in Canada by standard Canadian Post. Enter For A Chance To Win This Amazing Prize Package! You can enter with all of the options below to increase your odds of winning! For extra odd’s of winning.. comment on any new posts done on the blog from between Jan 14th from 6 am to 6 pm EMT on Jan 26th. Individual prizes in the prize package are sponsored as listed above. No purchase is necessary to enter for a chance to win this prize. A purchase will not enhance the odds of winning prize. You must complete at least one entry option to enter for a chance to win prize package. Additional entries are optional, and will increase your odds of winning. One winner will be chosen at random by an automated tool on the Giveaway Tools website, after the giveaway ends at 6pm CST on Saturday, January 26th, 2019. Sponsors, their businesses, employees, and families are not eligible to enter the givaway or win the prize. You must be 18 years or older to be eligible to win the prize. Any entrant found to be in violation of the sweepstakes giveaway terms and conditions will be ineligible to receive prize and a new winner will be randomly chosen. All decisions are final and are at the sole discretion of Livingmydreamlifeonthefarm Winner will be announced by the name entered on the blog, on the blog. Winner then needed to provide email address if not already listed in the comment. Winner will be contacted by email after the giveaway ends. If the first randomly chosen winner does not reply to claim their prize within 48 hours of notification, a new randomly chosen winner will be contacted. Upon acceptance of prize, winner accepts sole responsibilty for reporting value of giveaway prize as ‘other income’ on their state and federal taxes, as required by law. Sweepstakes sponsor is not responsible for taxes or fees, if there are any, on prize package. Giveaway sponsor retains rights to substitute prizes or equal or greater value in the event a prize becomes unavailable, choose a new winner, if notified entrant is found to be in violation of terms & conditions or does not respond within 48 hours of notification, or change terms of giveaway if found to be in violation of any state or federal law. The odds of winning this prize depends on the number of entries. By entering this giveaway you are accepting the terms and conditions of this sweepstakes giveaway. 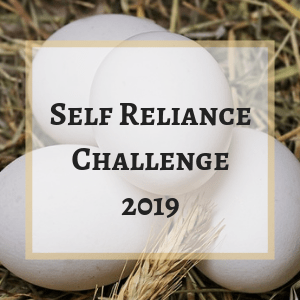 This entry was posted in 31 Day Self Reliance Challange and tagged 31 Day Self Reliance Challange 2019. Bookmark the permalink. Entered, but don’t forget to comment on all of today’s posts and all the coming ones for extra chances! I’ve just discovered your blog and it looks very inspiring! 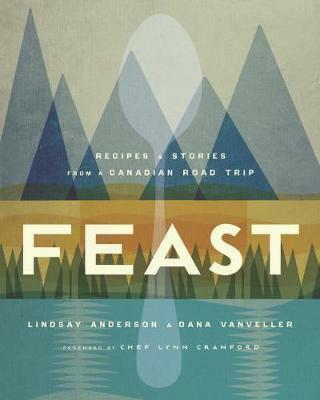 My fingers are crossed to win the Feast Cookbook.. it sounds Amazing! Welcome to the blog and best of luck! That’s a great prize package, and fun that it’s for the Canadians! 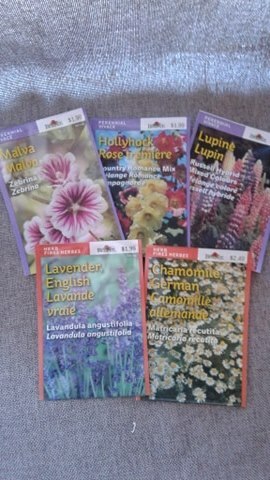 Love reading your blog and what a wonderful prize package. What a fantastic gift. Feast looks incredible. Oh wow! What a great give away! Thanks Crafty and you are now entered and best of luck! Excited to see a Canadian giveaway! Good luck to everyone! It would be awesome to win. Thanks for putting this together and good luck everyone! These gifts are great! What a nice selection! Keeping my fingers crossed! Not only that, I discovered a new blog (yours) so that is a gift all on its own! thank you Caroline, best of luck!